This is my favorite Original Character, Captain the octopus merman, pulling himself onto a rock. This rough sketch was drawn over the course of one afternoon - I plan to run this sucker *ba-dum TISH* through Photoshop for coloring later. Special thanks to superstarpanou for her sketch that she drew of Captain. 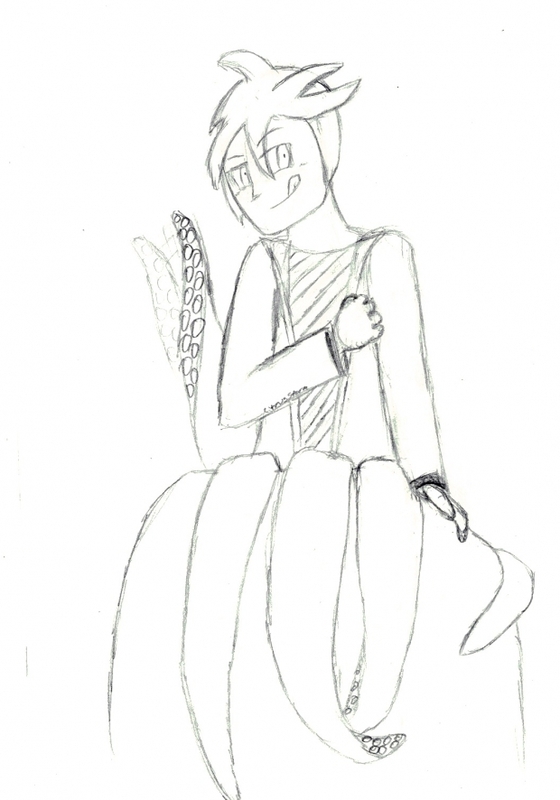 It was that amazing work that inspired me to actually draw a new picture of my octopus man!